To start off we got the chippies and they were DELISH! 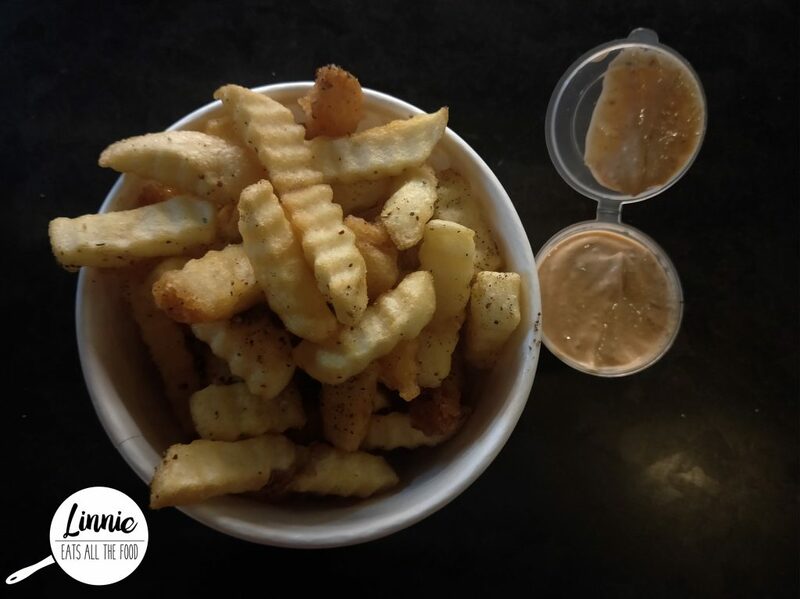 Crunchy and seasoned oh so well. 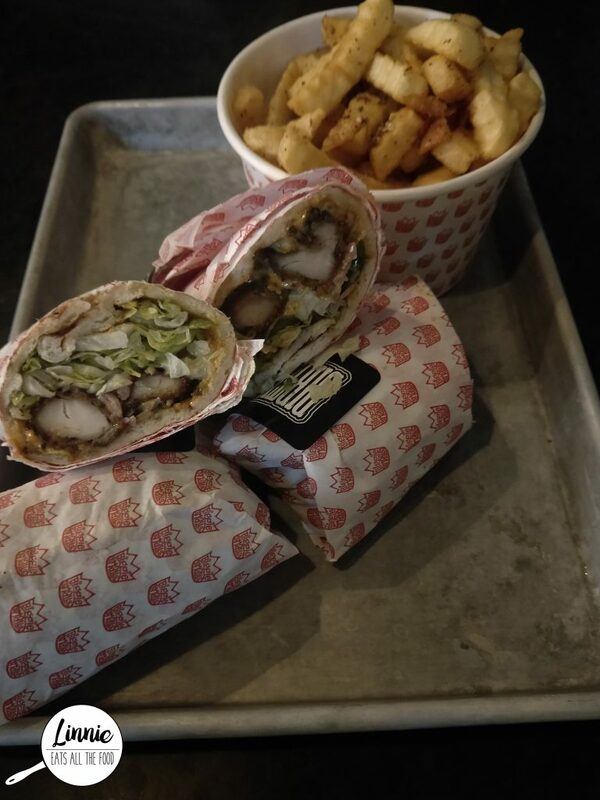 The Dirty South OG is a chicken kebab. I’m not usually one for a chicken kebab but when the girlies want it, the girlies get it. The fried chicken was a touch dry and the kebab as a whole was quite dry which was a shame. The wrap itself was a touch on the thick side too. It wasn’t my cup of tea unfortunately. We were served by such a lovely waitstaff and she went the extra mile when I asked for a bandaid for my blister from my flats. 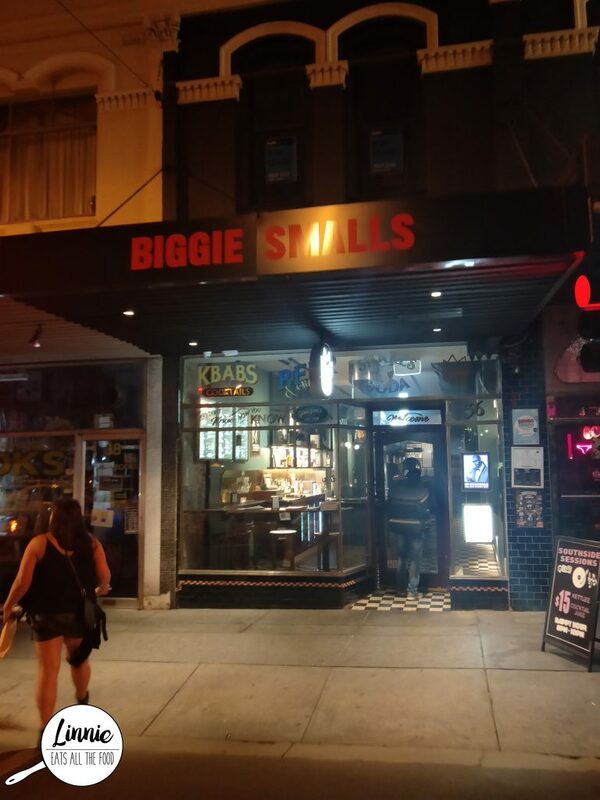 Biggie Smalls serves awesome sauce chippies but the kebab itself was quite pricey and the kebab was quite average. Will I be back? Only if I’m in the area and I’ll be ordering a lamb kebab next time.